Websites have become an integral part of our life, and virtually every activity that we require to do to some extent require the use of the internet and web in general. As a result just having a website for your business or organization is not enough but also the speed with which the web is responding. This will be in a position to indicate the level of user experience and lots more. Pingdoms gives the owners or the operators of websites the ability to examine all the parts of their website and from the data, they get they will be in a position to get detailed results. With the software, users can be in a position to test their websites from different locations. 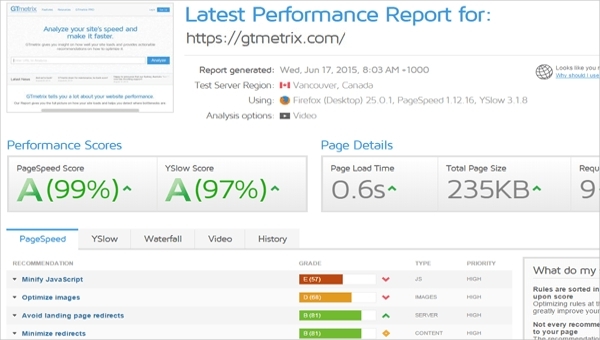 With GTmetrix, you will be in a position to make an analysis of the speed of your website by visualizing performance with graphs and from it get a recommendation. With this recommendation, it thus implies you can be in a position to affect changes to ensure better speeds. 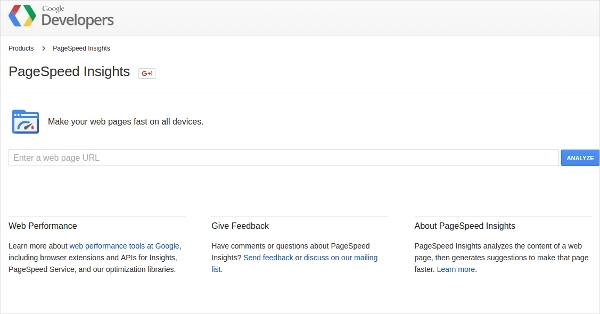 This is a speed testing tool from Google that allows users to detect the speeds of their sites so as to determine if it is within the recommended range and at the same time get recommendations. With the use of this tool, website owners are in a position to enable automatic optimization of their site. 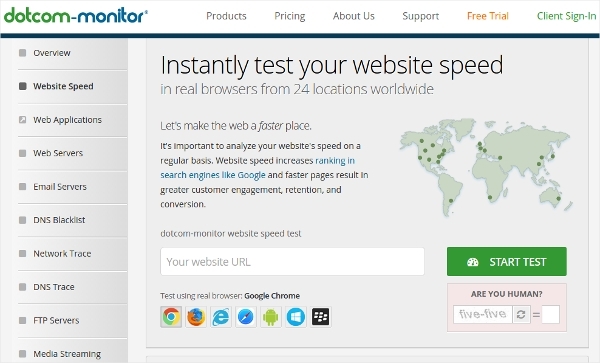 Dotcom-Monitor is a website speed testing that is web-based, and thus there is no need for a download. With the use of this software, users are able to make test from as many as 24 varying locations across the globe and thus have a feel of what customers are experiencing. ReActivity gives you the ability to test the load speed of your website as well as speed. The software is very detailed as it displays all the information regarding the process of loading and this is aimed at ensuring that a practical solution can be derived so as to enable fast loading. 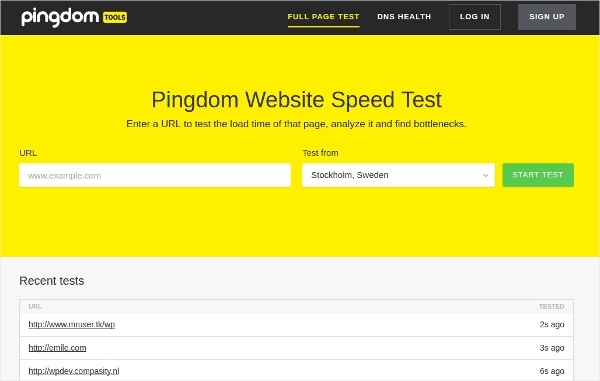 Page Load by Monitis is a website speed test tool that promises to test your web pages for free right from your browser. With this, it is now very easy to assess the speed of your website and thus decide if it is within the appropriate values recommended and thus be guaranteed of higher conversions. 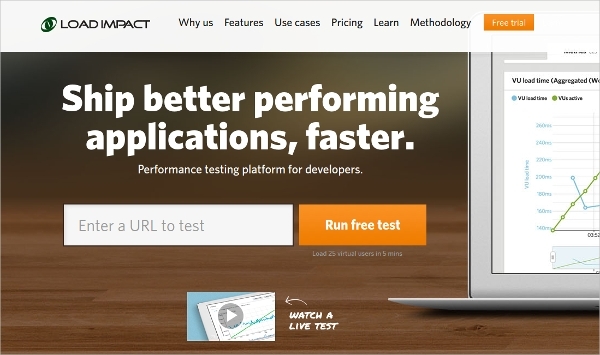 LoadImpact is an easy to use web-based website speed test tool that has proven to be practical and fast. With the tool, you can be in a position to simulate users from different locations across the world on different leading browsers and get a prompt feedback with which you are able to affect changes. 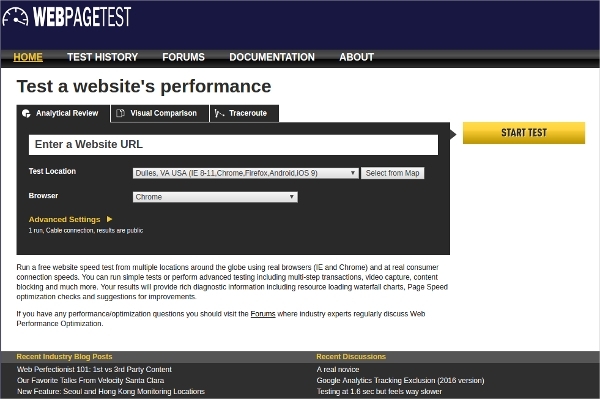 What is a Website Speed Test Tool? For the business owners who understand that the web is an important part of their business and a gateway to endless possibilities, responsive of the site is a priority. 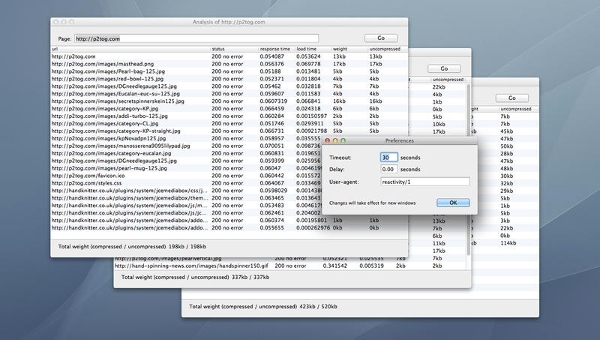 That being the case, the tools that assist them in making the analysis are tools referred to as website speed test tool. With the help of such a tool, one will be in a position to know if the site is at the recommended speed range and if not then seek a remedy to the situation. In the majority of the case, it has to do with the hosting service or the design. Having a means for checks and balances is very important. That said, the importance of the tools in this category cannot be overemphasized but rather just encourage the owners of the sites to make their checks so that they can get a remedy to the challenges they are facing.